"My cats had always been indoor until I found this system. I've never seen them so happy! I will never have a cat without a cat fenced yard again." 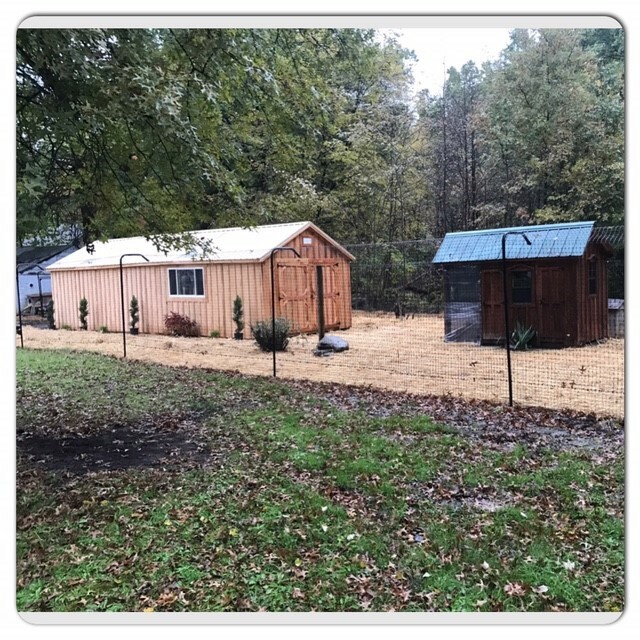 Vanessa M.
The cat enclosure offered from Deerbusters is called the Kitty Corral Cat Fence System, designed to provide all cat breeds with years of entertainment, fresh air, socialization with other pets, and exercise. Kitty Corral Kits are the humane solution to pet enclosures for cats - whether it's for your own domestic breed or for a Trap-Neuter-Return (TNR) Program for feral cats. Please note: Deerbusters does not offer electric fences for cats. The benefits of installing a cat fence from Deerbusters.com for your kitty is that the cat enclosures from Deerbusters.com are made from the same high-quality polypropylene fence mesh that our customers love from Deerbusters puppy fence. Moreover, this virtually invisible fence for cats includes everything pet owners need to build the cat fencing from the fence posts and ground stakes to the self-locking ties, and more. These are reliable cat enclosures that will keep-in cats and protect them from outside predator animals. See how easy it is to install a Kitty Corral! For dog owners looking for a cat proof fence, the Kitty Corral works to keep out stray, homeless cats. See our cat fence installation instructions. For homes with existing fences, our Cat Fence Conversion Kits can be used to make any existing fence a safe and secure cat enclosure. The extenders are attached to your current fence posts and our cat fence material is attached to both the extenders and your fencing to keep your cats inside the fence. Want to install a Deerbusters cat fence overhang extender? See our instructions to install a cat fence extenders.